Rotterdam is fast becoming known for food. It’s the Netherlands and it might be a bit of a cliché, but, yes there is cheese. 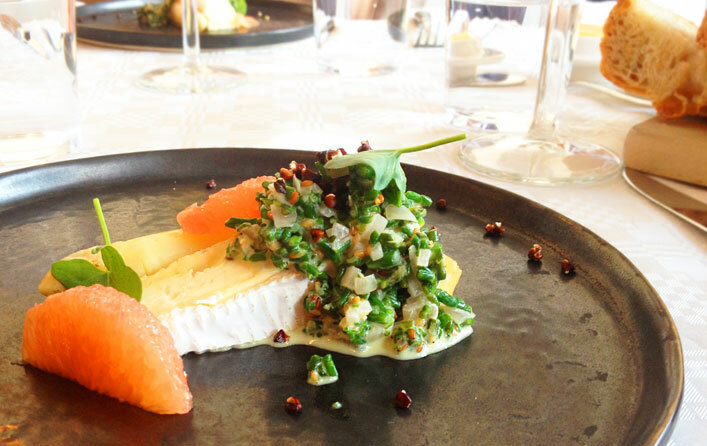 Chef Jim De Jong was challenged to make a menu composed of Holland’s most iconic staple, and his creations were stunning. 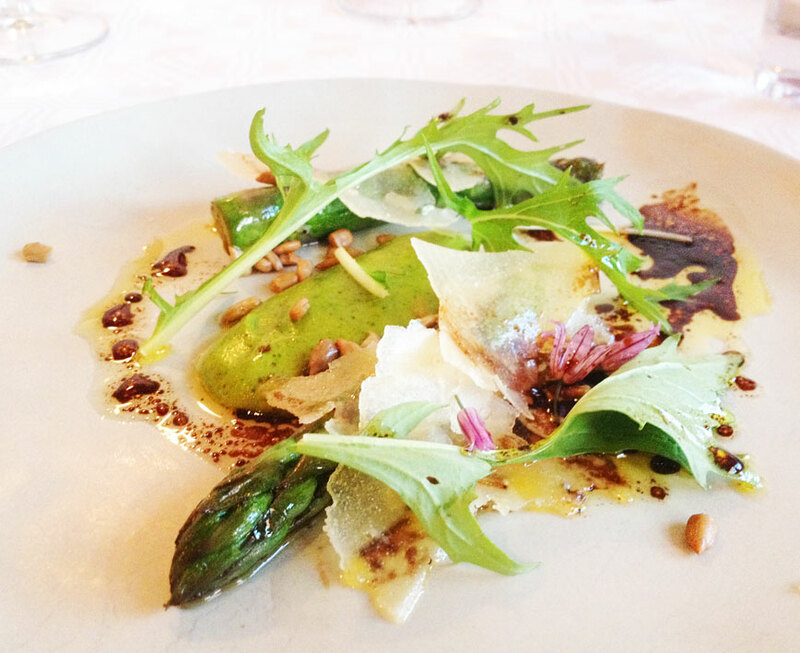 Jim has his culinary focus on seasonality, freshness, and vegetables, with the addition of herbs and flowers. He grows as much as he can and then buys local wherever possible. His menus are constantly changing and evolving. He is influenced by French cuisine as well as traditional Dutch. We asked Jim to present six courses with the common factor being cheese. Many a chef would be daunted by the prospect but Jim was delighted at the very thought of creating a feast that would remain engaging, exciting and intriguing right to the last bite. He presented dishes that were beautiful, delicious and fun. Restaurant De Jong is underneath the arches – railway arches, that is. That might not sound a classy address but this neighbourhood is being polished and preened and is becoming a magnet for energetic chefs and bar owners. It’s a light, bright and contemporary restaurant with an open kitchen. It is tastefully understated, offering not a hint of the quality of food awaiting its diners. The tables are well-spaced in this restaurant, with ambiance that changes as the sun goes down. Smoked quail’s egg with Hay-mayonnaise and mustard powder was our first dish, or more accurately, bowl – the serving vessels are well considered at Restaurant De Jong. The spice offered a sharp counterpoint to the egg and the creamy mayonnaise. White asparagus and Bergens Blonde cheese, samphire and buckwheat followed. The cheese was soft with Brie notes but this is Dutch. The white asparagus is much preferred in Europe to the green which is ubiquitous in the UK. 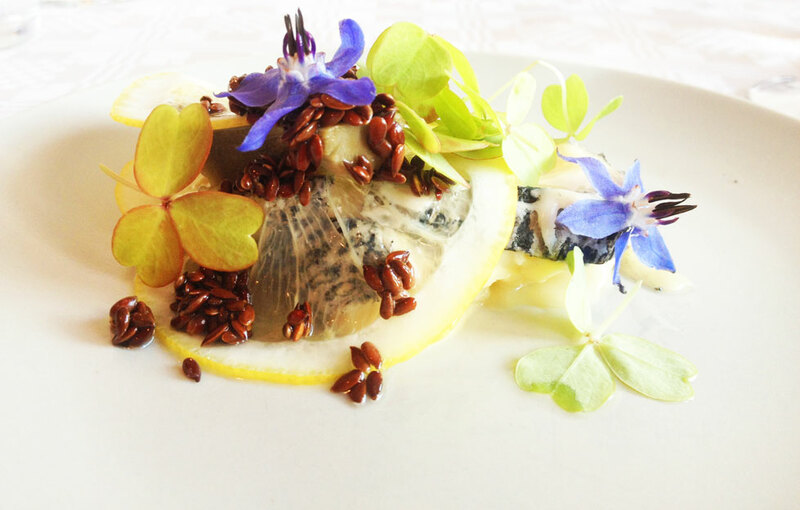 Blauwklaver cheese with artichoke, lemon, flax seed and oxalis was next. This ’blue clover’ is a soft blue cheese and one which I shall be seeking on my next trip to the Netherlands. Oxalis was the floral garnish and is a member of the wood-sorrel family. 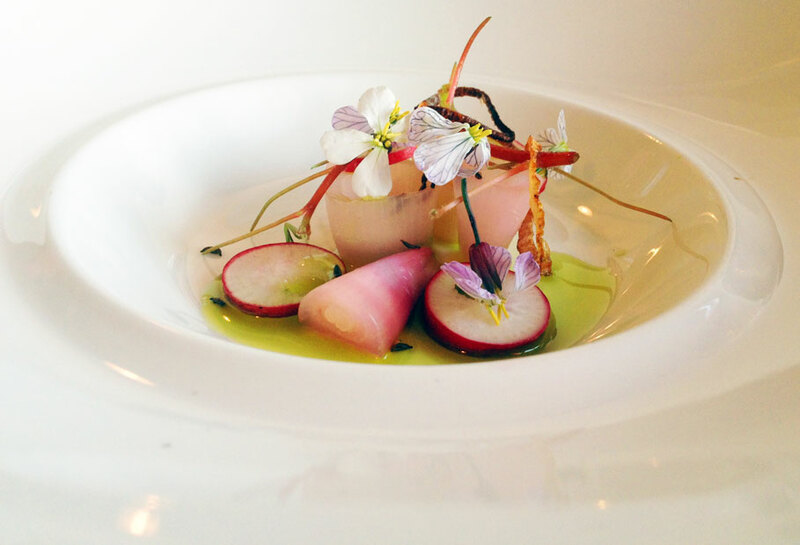 Pickled onions and radish, Charmeur goat’s cheese broth, and lovage with radish flowers was my dish-of-the-meal. Those pickles had bite that complemented the cheese. Reminded one of the very best cheese and onion crisps one has ever tasted …in less crunchy form. Green asparagus, old Texels sheep’s cheese and mustard was next in line. Texel is one of the Dutch Wadden Islands. This cheese is made from raw sheep’s milk, and has been produced for more than 500 years on the island. This is another cheese for the wish-list. Dessert was rhubarb, lavender and yoghurt, giving a perfumed finale to the meal which was inspiring, amusing, conversation-provoking and the most marvellous showcase for Dutch cheese and dairy products. It’s a shame that the Netherlands seems known outside its borders only for Edam and Gouda. These are both fine cheeses, but one could have quite a gastronomic adventure in Holland just discovering the lesser-known local cheeses. Chef Jim De Jong might not consider himself an ambassador but he proved himself to be just that. He has passion and culinary vitality. His support of local food is commendable and he offers both the Dutch and visitors a glimpse of how good the food here can be. You might not get a chance to eat these same dishes but perhaps this menu will give a few ideas. It’s a sure bet that Chef Jim will have other memorable dishes for you.